Why aren't the Lenses Bigger? Magnification - To Add 1 or Not? 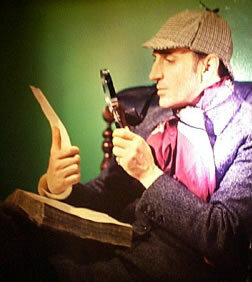 Do you know how to use a magnifying glass? Of course you do! You just hold it in front of the object you want to magnify and look through it - if you want the object to appear smaller or larger, you move the glass closer or farther away from the object. Nothing to it, right? But what is the "magnifying power" of the lens - how can you say precisely how much a lens magnifies when you know from experience that it all depends on where you hold it? That rather simple question is at the root of a remarkable amount of consumer misunderstanding, erroneous product advertising, and even disagreement among professionals in the optics field. That's why Zeiss has specified their magnifying glasses with BOTH a magnifying power obtained from a mathematical formula AND a power that represents how most consumers are likely to use the lens. In fact, you may very well have visited this page because you were wondering about those magnifying power numbers in the product chart . . . for instance, how come the "nominal" power of a D20 glass is 5X while the "optimal use" power is only 3.1X . . . why is this number actually going DOWN for these lenses with higher "diopter" power (the number after the D indicates diopters, so a D20 is a 20-diopter lens). There is actually a fairly simple way to think about these power numbers, and we will try to explain it here as clearly as we can. When you look at an object, whether it is a dollar bill or a skyscraper, the light rays which bounce off the object and enter your eye are focused onto a light-sensitive layer at the back of the eye called the retina. This focusing is performed partly by the cornea, the clear front covering of the eye, and partly by the lens, which is immediately behind the cornea. Now if you ask "How well can I see an object? ", the answer is usually a function of how much detail the object has and how much of the retina is covered by the image that is being projected onto it. Let's say that a book is sitting open 8 feet in front of you. You will probably be able to see that the page has words on it, but most likely you won't be able to read them, because the image of each word covers such a tiny area on the retina; each living cell of the retina represents one sensing point for light, and details that are smaller than a single retinal cell cannot be distinguished. (If you happen to understand the concept of "pixels" on your computer screen, then you have some idea of the what this retinal matrix is like, although the subtle interconnections between nearby retinal cells make them much more powerful at gathering information than if they were just individual, identical light sensors). If you move closer to the book, 4 feet away, the image on the retina, because of the laws of optics, will be twice as big, and you will start to be able to decipher some individual words. Move to 2 feet away, and the image size will double again; now most people will be able to read typical book text. But now let's throw a wrench in things - let's consider a page with very small print, like a train schedule or a big city phone book or a legal contract. Can you read it? Well, you say, you could just move it closer and closer to your eye, 1 foot away, 6 inches away, even 3 inches away, so that the image on the retina would eventually become big enough to read. That sounds good - in theory you would never need a magnifier if you just brought things closer to your eye. In reality though, there is a limit to how much the lens of the eye can change its shape (become fatter, remember?) in order to bring close objects into focus. For most young people with normal, uncorrected vision, this limit is about 10 inches (250mm). For objects any closer than that, the lens is simply not capable of bending the light enough to send it to the correct spot on the retina - the image becomes out-of-focus, fuzzy, unreadable. What's more, as we get older, the lens becomes less supple, less able to change its focus. So as we age, the minimal focusing distance increases, to 15 inches or 20 inches or more - a condition referred to as "presbyopia". You've probably heard the old joke about the middle-aged man who said that his eyesight was still fine but his arms were getting too short - in other words, it was no longer possible for him to hold a book far enough away so that his eye lenses could still bring it into focus. As we reach our 40's and 50's, almost all of us will turn to magnifiers, either in the form of reading glasses or a handheld glass, to help us get things back to normal. So let's look at what happens when we hold a glass lens in front of our eye. Specifically, let's consider the two extreme models in the Zeiss line of handheld magnifiers, the D6 and the D20. First of all, that number, the diopter value of the lens, is figured by dividing the focal length of the lens into 1 meter . . . OK, from the top, only simpler. If light rays come from very far away and pass through a lens, they will all be bent to pass through a single small point on the other side of the lens - you've seen this if you've ever used a magnifying glass to focus the rays of the sun and start a leaf on fire, for example. The distance from the lens to this spot where all the rays converge is called the focal length of the lens. For reasons related to history, the common way to describe the power of a lens is to divide one meter (about 39inches) by the focal length, and call the result the power of the lens in "diopters". So for example, if we have a lens with a focal length of 1/6th of a meter (about 6-1/2 inches), that would be a 6 diopter lens, like the Zeiss D6. A lens with a focal length of 1/20th of a meter (about 2 inches) would be a 20 diopter lens, like the Zeiss D20. Now when an external lens of a particular focal length is held relatively close to the eye, it adds to the "refractive" (i.e. "light-bending") power of the internal lens system of the eye. The result is that the eye can now focus on objects that are much closer than could be clearly seen without the added lens - the lower limit of accommodation changes to a distance roughly equal to the focal length of the lens. So the D20, with its 2 inch focal length, will allow objects to be brought into focus even if they are only about 2 inches from the eye. Remember we said that how well we can see an object depends on how large its image is on the retina. If we can now, with the help of the D20 magnifier, obtain a clearly focused view of objects only 2 inches away from the eye, instead of the 10 inches or more that we were limited to with our natural accommodation, then we have in effect "magnified" the object by a factor of 5. Therefore, the D20 is said to have a nominal magnification of 5x. And this is exactly what you will experience if you position the D20 up close to your eye, like a spectacle lens, and then hold up a stamp or an insect or some other tiny object two inches beyond the lens. By a similar argument, the Zeiss D6 magnifier has a focal length of 1/6th of a meter, or about 6-1/2 inches. If we divide that focal length into 10 inches, we find that a D6 magnifier gives a nominal magnification of about 1.5x when held close to the eye as before. And in general, you can judge the magnifying power of any magnifying glass by dividing the diopter power by 4 - a D6 is 1.5x, a D8 is 2x, a D12 is 3x, and so on (the 4 comes from the fact that the normal minimum accommodation distance is 250mm, or 1/4 of a meter). So it all sounds very simple, right?... just divide the diopter value by 4 and you have the magnification. But here's a question. Let's say you want to use a magnifying glass to read a book - so you pick up a big 6-diopter glass and hold it up close to your eye - then you hold the book in mid-air 6-1/2 inches in front of the glass and move the book back and forth with your arm as your read the lines of text ... wait a minute, that doesn't sound very comfortable, in fact no one would read that way given a choice. When most people use a magnifying glass to read, they want to leave the book at a comfortable distance, like on the table in front of them, and hold the glass in mid-air above the text. And when used that way, the exact magnification becomes, as we mentioned at the beginning of this article, a function of where the glass is held. Unfortunately, while there is a mathematical formula for the magnification obtained when the lens is held somewhere in the middle between the eye and the object being viewed, it is not a simple, "divide-the-diopters-by-4" sort of equation. And raw magnification is not the whole story. As you move the glass up away from the text, the words get bigger, but you see fewer of them, because the diameter of the glass, the "window" you are looking through, is limited. So there is a trade-off between magnification and "field-of-view", i.e. how much you can see at one time. And that's why Zeiss has published an "optimal-use" magnification value for each of its hand magnifiers. Zeiss studied how each glass is most comfortably used by real people, and determined the position where they preferred to hold it so as to see actual text or objects most clearly. This optimal-use magnification is given along with the nominal diopters-over-4 magnification for each model, and it reveals some interesting facts. For the Zeiss D6, the nominal magnification is 1.5x (6 diopters divided by 4) while the optimal-use magnification is greater, namely 2.1x. This magnification is HIGHER than the nominal magnification, and is obtained when the glass is held a little over 7 inches in front of the eye, and about 6 inches from the subject. The Zeiss D20 has a nominal magnification of 5x and an optimal-use magnification of 3.1x, which is obtained when the glass is held about 3-1/2 inches from the eye and the subject is a bit more than 1-1/2 inches beyond the glass. The glass in the middle of the Zeiss product line, the D12, gives a maximum magnification of 3.5x when held about 8 inches in front of the eye, with the object about 3 inches beyond. So you see there is quite a bit of variation in how these magnifying lenses interact with your eye to produce a larger image on your retina. But don't misunderstand what these numbers mean. When you use a Zeiss handheld magnifier, you will find a sharp, distortion-free image at almost any viewing distance you choose - you don't have to worry about holding the glass at exactly the right distance from the object. In fact, your hand and your eye will automatically set the glass at a position that gives you the best view of whatever it is you want to look at, and that will differ from one user to another, and from one page of text or stamp or other object to the next. However, if you would like to know where the glass is held to obtain the optimal-use magnification and field-of-view published by Zeiss, we have included a diagram on each individual product specification page that shows the distances from viewer-to-glass and from glass-to-object. Just click on the photo of each glass in the chart to bring up the spec page. So how do you pick the best model of Zeiss magnifier for your application - all these numbers may seem a bit overwhelming. The best way to choose is not to be too concerned with the exact specifications in the chart, but to think about what it is you want to look at. Is it large, like a page of text where you will have to move the glass along as you read? Or is it small like a postage stamp that you can hold up and examine in detail without moving it? To help you decide what glass is best for you, we have published a very simple and wide-ranging article which covers dozens of potential uses and advises which glass is best suited for each. We highly recommend that you look at this article before buying - just click on the Help me select the best Zeiss hand magnifier ... button above the magnifier product chart. You are certain to find just the right hand magnifier for your needs. People have known since antiquity that curved chunks of glass could produce magnified images. Crude eyeglasses first began appearing in Europe during the 13th century. But it was not until the days of Huygens and Galileo in the 16th and 17th centuries that precision lens grinding techniques had evolved to a point where true optical instruments such as telescopes and microscope could be manufactured. And until very recently, almost all the lenses in these instruments were "spherical" lenses - that is, their curved surfaces have been shaped like portions of a sphere or ball. The fact that early craftsmen were able to make high quality optical instruments at all was actually the result of an incredibly lucky accident of nature, for if you take two pieces of flat glass and rub them together in a particular way with some polishing grit in between, they slowly but naturally assume complementary spherical shapes, one convex (curved outward) and one concave (curved inward). However, scientists have long been aware that the spherical lens shape, good as it is for producing focused images, is not perfect. The rays which pass through the outer peripheries of the lens focus in a slightly different place than those that come through the center. This error is known as ":spherical aberration": and it has always been one of the biggest limitations in the quality of optical systems. Although spherical aberration can be corrected in a microscope or telescope by cleverly combining two or more different lens in series, single-lens magnifiers have always been limited in their image clarity by this error. What you would really like to have is a lens in which the curvature of the glass decreases slightly toward the outer edges so the rays out there will focus in the right place. With modern measurement and manufacturing technology, it has now become possible to produce such lenses, lenses whose curvature is optimized over their entire diameter so as to bring all the light that passes through them to a sharp focus. These lenses are called "aspheric" and Zeiss has been at the forefront in introducing aspheric lenses into optical products from cameras to eyeglasses to handheld magnifiers. All Zeiss hand magnifiers and loupes have this aspheric lens technology to ensure you the sharpest possible images. You have, no doubt, seen some detective movie where the sleuth pulls out a magnifying glass the size of a coffee saucer and starts to examine the scene of the crime. You might think that you would like one of these large diameter magnifying glasses - you'd be able to see more at one time, right? In reality, the laws of physics dictate that as the power of the lens goes up, the maximum practical lens diameter goes down. That's because the surface of a lens is spherical (or very close to spherical in the case of an aspherical lens). The refractive power (light-bending ability) of the lens is determined by the amount of curvature of its surface - the more curvature the higher the power. And of course, for a constant amount of curvature, if you keep making a spherically-shaped surface bigger and bigger, you eventually end up with an entire sphere, a "crystal ball", and that's as far as you can go. You have probably looked through a glass ball at one time or another, and you know that a complete sphere makes a very poor magnifying glass - everything is very distorted. In practice, a spherical lens only works well if its curved surface is no more than about a sixth of a sphere or less (think about a half sphere, like a half grapefruit, and then keep squeezing the angle down from 180 degrees to 60 degrees or less). So there is a fundamental limit to how big a magnifier can be for a given refractive power. Zeiss hand magnifiers are all optimized to the maximum practical diameter for their refractive power, and because of their aspherical lenses, they can actually be made a bit larger than a spherical glass and still produce outstandingly clear image. Those giant magnifying glasses you see at the movies have very, very low magnifying power - fine for a fictional detective but not for real-world use. And now for one more little complication - it's not something you really need to worry about since you are going to choose your magnifier to meet your own practical needs, not because it is touted in an advertisement as having a specific magnification. But you will find that some companies specify the power of their magnifiers by dividing the diopter power by 4, AND THEN ADDING 1. This is not just an exaggeration, there is some good logic behind it. We have said that the diopter value of a lens relates to its curvature. So consider a flat piece of glass, no curvature at all. Light rays pass straight through it and keep going, all the way to "infinity" (remember that little sideways 8 on your camera lens that indicates "infinite" focus?). Therefore, the diopter power of a flat piece of glass is one meter divided by infinity, or zero - a flat piece of glass is a 0 diopter lens. But does that mean that the image size goes to zero when we look through the glass? Does the object disappear? Of course not, it appears unchanged (though if the glass is thick, the object will appear a bit closer). As a result, some manufacturers declare that a 1 should be added to the diopters-over-four equation to get the real magnification. According to this logic, a flat piece of glass would have a power of 1x, a D4 would have a power of 2x, etc. And this is a good argument for lenses with a relatively small amount of curvature. However, as you advance to lenses with higher curvature, the apparent magnification is more like a 1/4th the diopter power; there is actually a complicated graph that describes the magnification for each value of curvature and for every distance that a user might hold the lens in front of his eye (no one, after all, will hold the lens in actual contact with their eye - there will always be an inch or two of gap). So the bottom line is that some manufacturers say "po-tay-toe" and some say "po-tah-toe". Zeiss, along with most continental European manufacturers, uses the more conservative diopters-over-four formula, the British typically add 1, and American companies are somewhat split on the issue. But as we said at the beginning, you needn't really worry about this discrepancy - you'll get all the magnification promised (and maybe even a bit more) when you select a Zeiss hand magnifier.